Even as a middle schooler, Christine Darko knew that she wanted to explore the sciences. When she was a high school senior, her advisors recommended Brandeis due to its strong reputation in that field, and she joined the class of 2015. 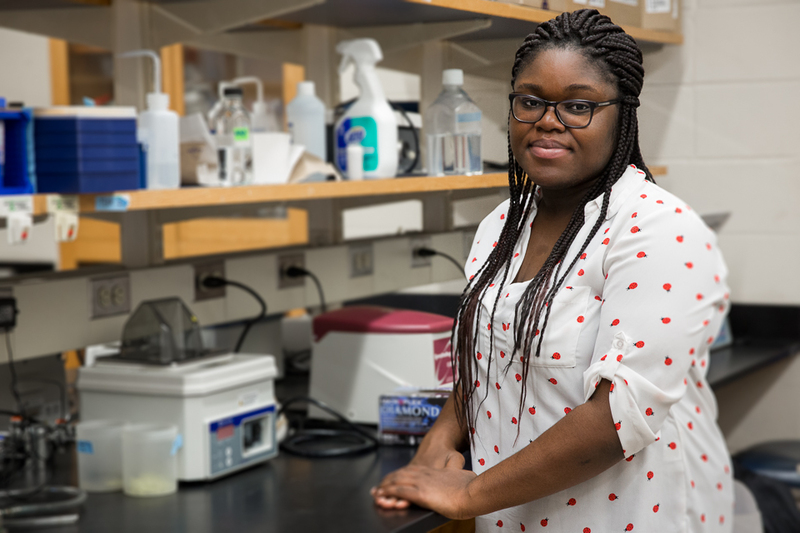 Having graduated with a double major in Biology and Psychology, Christine has become a Diversity, Excellence and Inclusion Scholar (DEIS) pursuing a master’s degree in Biotechnology. When Christine was five, she and her family moved from Ghana to Worcester, MA, where she has remained ever since. Her interest in science was fostered by her participation in the Goddard Scholars Program, an accelerated magnet school in the Worcester public school system. She says that the opportunities the program afforded her helped shape her experiences with and her love of science.